Summary: This article introduces a new version of XML Notepad. The tool was first introduced in 1998 but has been unavailable for several years. This version leverages System.Xml and adds new features. I finally got around to fulfilling a promise I made to a friend at MSDN. Back in 1998, we shipped an XML Notepad, written by Murray Low in C++. Later on it fell behind in support for XML standards and, because we didn't have time to fix it, we pulled it off MSDN. But Murray apparently did such a nice job that MSDN was inundated with requests to put the notepad back up, so MSDN asked me for a replacement. I've been working on System.Xml in C# since 1999, so I figured I could crank out a replacement using the .NET Framework pretty quickly. Well, the problem was it was one of those side projects on my "one-day" list — you know how that goes! Fortunately, a good friend of mine, Michael Corning, took interest in it, helped hold my feet to the fire, and also added some cool features himself. Dan Doris also took pity on me and helped identify some great bugs. So here we are, finally, with something that should be useful to those who want a quick way to view and edit XML documents. Incremental search (CTRL+I) in both tree and text views, so that as you type it navigates to the most matched node. Cut/copy/paste with full namespace support in a simple interoperable XML format. In-place, pop-up, multi-line editing of large text node values and IntelliSense based on expected elements and attributes. Full find/replace dialog with support for regex and XPath expressions. Good performance on large XML documents (loading a 3 MB document in about one second). Support for custom editors for date, dateTime, time, and color datatypes. 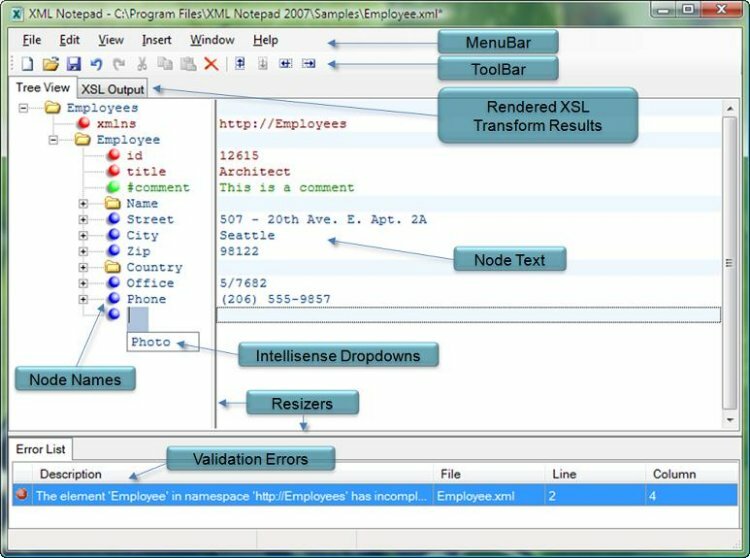 HTML viewer for displaying XSLT transformation results. In the downloadable package you'll find the core XmlNotepad dll project, an Application project that builds XmlNotepad.exe, the XmlDiff library projects used in the XML diff feature, a Setup project for building the .msi installer, the UnitTest project for testing XML Notepad, and a Help project for building the Help.chm file using the HTML Help Workshop tools. The following diagram shows the relationships between the main UI classes. The main form contains all the UI elements from the TaskList to the main XmlTreeView with Resizers in between; it's the launching point for the dialogs such as FormSearch, FormSchemas, FormOption, and FormAbout. The main tab control contains the XmlTreeView and the XsltViewer for showing XSL output. The XmlTreeView contains a TreeView on the left and a NodeTextView on the right and coordinates scrolling between these two views. Both the TreeView and NodeTextView provide the same IntelliSense editing functionality using a TextEditorOverlay component. The XmlTreeView implements IFindTarget, which is used by the Find dialog (FormSearch) to implement find/replace functionality. 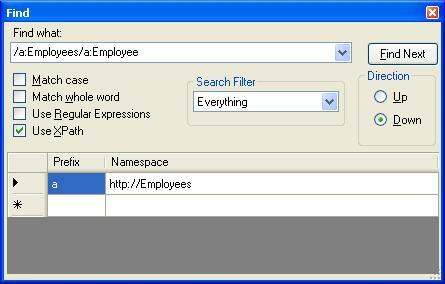 The Find dialog supports full text, regex, or XPath expressions and can filter by names or values. Here you see the XPath search, which also provides a table for entering namespace prefix mappings used in the query. The way this works is that the Checker runs after each edit operation to validate the document and report errors in the TaskList. This process also puts System.Xml.Schema.XmlSchemaType information on each element and attribute in the XmlDocument; then, when editing the value of that node, the TextEditorOverlay uses the XmlIntelliSenseProvider to get back a list of possible values. In the above example it returns the values from the simpleType enumeration facets. For element name IntelliSense in the tree view, the XmlIntelliSenseProvider invokes the Checker again, captures GetExpectedParticles and GetExpectedAttributes on the System.Xml.Schema.XmlSchemaValidator, and uses that to provide IntelliSense. The TextEditorOverlay also supports custom editors like the DateTimeEditor or the UriBuilder or ColorBuilder. There are two types of custom editors: IXmlEditors, which are inline editors that replace the default TextBox, and IXmlBuidlers, which are popup dialogs like the OpenFileDialog or ColorDialog. The type of editor is derived from the schema type information — "xs:date", "xs:time", "xs:datetime" results in the DateTimeEditor, and "xs:anyURI" results in the UriBuilder. You can also annotate the schema with a custom "vs:builder" attribute in the "http://schemas.microsoft.com/Visual-Studio-IntelliSense" namespace. See the Help content for more information. To implement undo/redo I followed a common design pattern of Command objects with Undo and Redo methods. 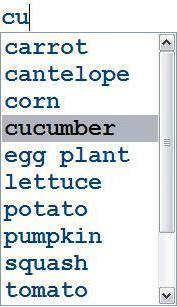 The UndoManager collects these in a list. Then the state of the UndoManager controls the enabled/disabled state of the Undo/Redo MenuItems. When the user selects the Undo menu item, the Undo method is called on the active command, and that command is pushed onto the Redo stack. Some operations in the editor cause many edits in the tree including the replace-all operation and editing the value of a namespace attribute. (When you change the value of a namespace attribute. every XmlNode bound to that namespace needs to be reconstructed with a new namespace URI, which can obviously affect a lot of nodes in the tree!) So, to make these operations one atomic undo operation, there is a CompoundCommand object that contains a list of smaller edit commands, and this CompoundCommand is put into the UndoManager. The PasteCommand is special because it takes random XML text off the clipboard and parses it in context of the currently selected element in the tree, inheriting the namespaces in scope. The helper class TreeData uses the special XmlTextReader constructor that takes an XmlParserContext as input. I had to do a good job of testing the new XML Notepad, and I was looking for an excuse to use the new Visual Studio 2005 UnitTest projects. The UnitTest runs from the TestManager under the new Test menu from within Visual Studio, launching XML Notepad and executing the 15 test methods I've written. When the test completes, you can then right-click on the Test Results window and select "Code Coverage Results". This brings up a summary of how many blocks were covered in each function. You can double-click the row in the list to bring up a color-coded source code view showing exactly which code has been covered. This made it really easy for me to get the code coverage up to about 85 percent. The only trick is that you don't get code coverage when you run the tests under the debugger, and the UnitTest project creates a file next to your solution called "localtestrun.testrunconfig" and "XmlNotepad.vsmdi," which you should not lose. If you do, then code coverage also will not work. Other than that, I have to say this new UnitTest stuff is one of the coolest new features in Visual Studio 2005. I hope you enjoy the all new XML Notepad. Feedback and suggestions are welcome, so just send e-mail to wdxtools@microsoft.com.